FIANNA FÁIL’S JIM O’Callaghan has said there “will be consequences” for Fine Gael for allegedly overriding procedures to appoint Attorney General Máire Whelan to the Court of Appeal. Earlier, his party colleague Niall Collins called on Whelan to not accept her appointment amid criticism of how she got the role. It was announced on Tuesday that Whelan would leave her post as AG after six years, a day before Leo Varadkar took office as Taoiseach. It was confirmed to Gavan Reilly of Today FM that she had not applied for the position. Anyone interested in a judicial vacancy is supposed to apply to the Judicial Appointments Advisory Board (JAAB) – of which Whelan as AG is a member – which in turn provides a list of candidates to Cabinet. It’s believed no one with the required level of experience, 12 years, applied. The Cabinet approved Whelan’s appointment this week, leading to much criticism from the Opposition. However, the government has insisted all correct procedures were followed. O’Callaghan told RTÉ’s Sean O’Rourke programme that Fine Gael have breached the confidence and supply agreement (the deal Fianna Fáil struck with Fine Gael to prop up the government) as it states there are to be no surprises. He added that he suspected the issue would be dealt with by the two party leaders – Leo Varadkar and Micheál Martin. The Fianna Fáil Justice spokesperson said the newly elected Taoiseach needs to provide answers to the legitimate questions being asked. “The ball is now in the government’s court … it is in Leo Varadkar’s court,” O’Callaghan said. Speaking on RTÉ’s Morning Ireland earlier, Collins said Whelan should not take up the role as there are “so many question marks and questions which need to be answered”. He said the established process involving JAAB was “completely circumvented on this occasion”. Collins described the move as “one of the most cynical acts of stroke politics I’ve seen in long time”, adding that it “casts a long shadow over the courts”. Collins hit out at Transport Minister Shane Ross in particular. Ross has long called for the process of judicial appointments to be reformed. Collins said he believed Ross agreed with Whelan’s appointment in return for the re-opening of Stepaside Garda Station, which is in his constituency. Collins described the situation as “horse trading of a high-profile judicial appointment”. Ross has denied this. “In the interests of upholding the independence of the courts and the independence of the judiciary, the fact that there are so many questions hanging over the process … Máire Whelan should step back from it,” Collins stated. Speaking on Morning Ireland yesterday, Social Protection Minister Regina Doherty defended the move. However, she said she was not aware it would happen before Tuesday’s Cabinet meeting. 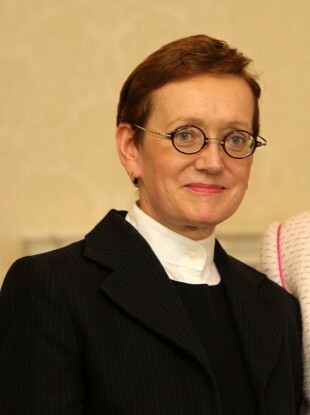 “Máire Whelan is an eminently qualified judge. She has done an absolutely super job for this government and the previous government. “More importantly, she was available and I know she is going to make an absolutely excellent judge. “She is a bounty of wisdom, she is calm, she’s measured, she’s mature,” Doherty said. Email “Fianna Fáil says there 'will be consequences' over judge's appointment”. Feedback on “Fianna Fáil says there 'will be consequences' over judge's appointment”.